Kitchen ovens are virtually nonexistent in Saigon and all points south. Even in northern Vietnam they prove a hit or miss proposition found only in more upscale living quarters. Indeed, one of these elusive heat boxes occupied a corner of my Hanoi apartment’s tiny kitchen and I will admit 18 months of living there never gave occasion to learn how to even once turn it on. Let’s put that a different way. We’re talking waking up about 540 different days only to never open an oven door. Fast forward to Saigon now and of course human nature causes us to desire all that eludes us, such as that very oven I never wanted to go near. 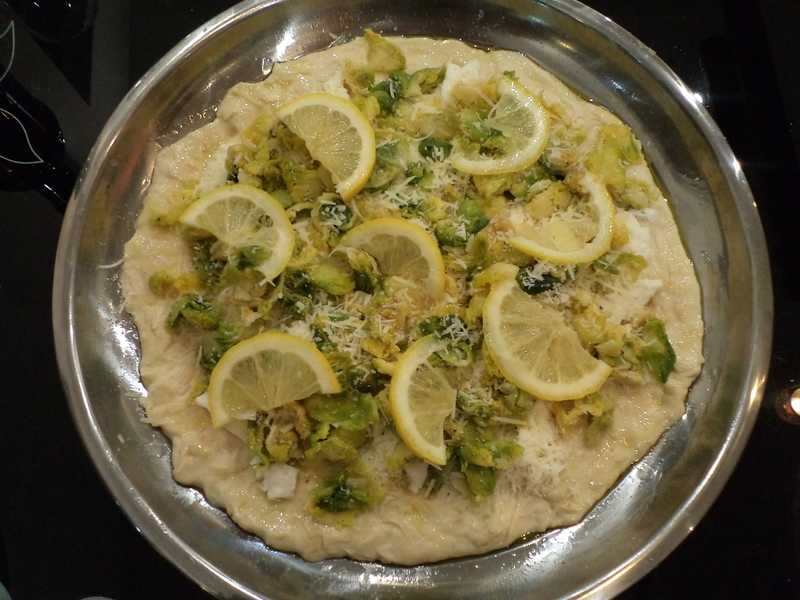 My friend Laurel compounded my sudden inexplicable urges to explore all the goodness only an oven can produce by showing me one of her Martha Stewart magazine recipes for brussels sprout and lemon pizza which despite its name looked absolutely amazing in its glossy, thoughtfully produced photo. 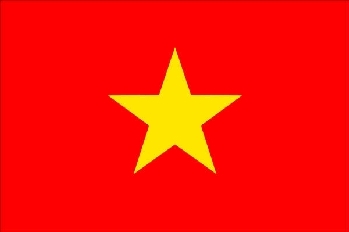 And Martha, if you are reading this and wish to hone your Vietnamese repertoire, please pay Laurel and AP a visit over here for they are probably two of your biggest fans. Apart from a dearth of ovens, cooking many western foods in Vietnam is a laborious process requiring trips to several expensive expat oriented stores to source the elusive ingredients. Care for an eggplant stirfry with Thai basil? No worries, pop on down to the street market and fifty cents and thirty minutes later you’re stuffing your food hole to new heights with traditional cooking. Want to cook one of Laurel’s Martha Stewart delights? Well, all hell breaks loose and so begins a week of careful preparation. First off, pizza dough obviously doesn’t just bake itself, so we got the bright idea that on our next Hanoi overnight for work, we’d just hijack our friend Gregg’s oven for a night. Now with our nearest suitable cooking location secured 1,000 miles north of us, we examined our next looming need, a cast iron skillet. With this being a land littered with woks and rice steamers aplenty, finding a skillet strong enough to withstand both burner and oven is a tall order for sure. After poking around Saigon five hours on the great all Vietnamese cookware hunt, the choice came down to a $105 frying pan at a high end cooking store or a round handleless aluminum pan for three bucks at Ben Thanh market. I declared victory but Laurel’s look when she later saw the cheap pan made me feel like a penalty lap was in order. She said we’d just make it work somehow. In Saigon, two bags of frozen brussels sprouts at Veggie’s cost almost $15 and four hard to find lemons (limes…no problem in Vietnam, but lemons…) set the budget back another three bucks at another shop. The rest we luckily found in Hanoi at Oasis in the Tay Ho Neighborhood. Four frozen rounds of pizza dough were $4, pecorino cheese $5 for 3.5 ounces, and another four bucks for 5.5 ounces of fresh mozzarella. The European owner of Oasis commented on our ambitious quest to bake a pizza by remarking, “You must have a very good oven.” A slight nod of his head showed he was impressed enough when I said I did indeed. I wasn’t about to admit this status symbol wasn’t exactly mine. 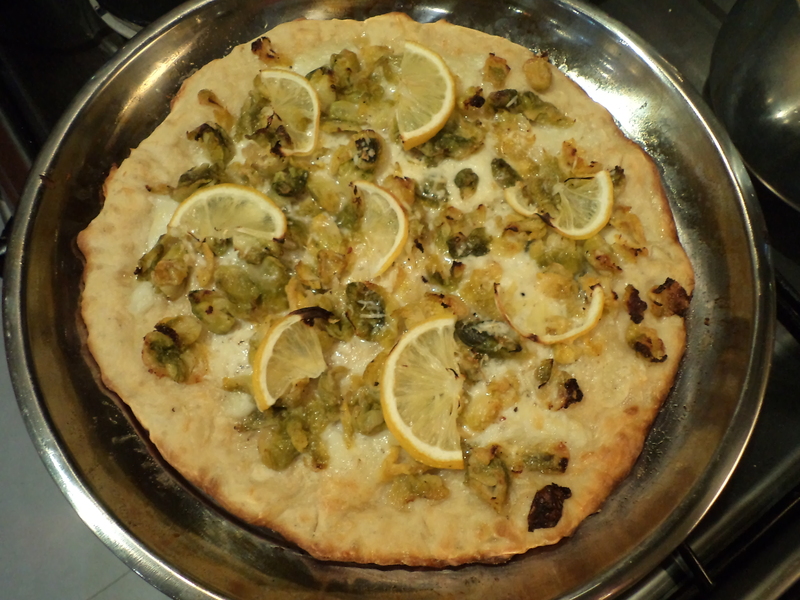 Welcome to our world where cravings cost a fortune, but the two twelve inch pizza pies we managed to bake were absolutely delicious with their thinly sliced lemons nicely caramelized and sweet-bitter brussels sprout leaves lightly charred around the edges. Laurel even found a tasty use for the discarded sprout hearts and outer leaves which she sauteed with garlic, salt, pepper and lemon juice. 1. Preheat oven to 500 degrees F (285 C). Brush a 12 inch cast iron skillet with 1 teaspoon oil. Press dough flat in skillet, pressing to edge (if it retracts, wait another 5 minutes before continuing). Brush a 1-inch border around edge with 1 teaspoon oil. 2. Scatter the mozzarella and half the pecorino evenly over dough, leaving a 1/2-inch border around edge. 3. 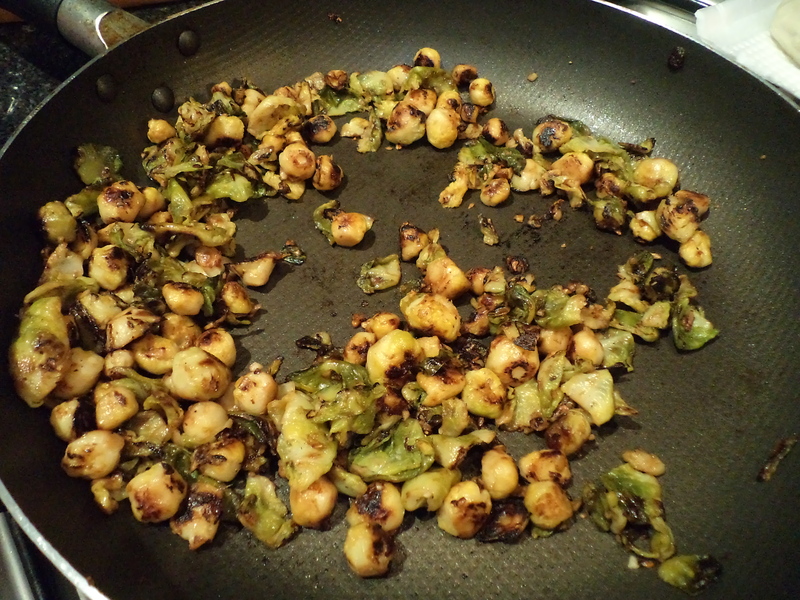 Toss brussels sprouts with remaining pecorino, remaining 2 teaspoons oil, 1/4 teaspoon salt, and 1/4 teaspoon pepper. Scatter sprout mixture over cheeses and top with lemon. 4. Cook over medium high heat until bottom is golden brown, 4 to 5 minutes. Transfer to oven and bake until edges of sprouts begin to char, edge of crust is golden, and dough is cooked through, about 10 minutes. Season with pepper.